It was 9 months since our brown eyed girl went back to live with her mom. In this 9 months I had wished and prayed for a little boy and more specifically that would be half black like his big brother. 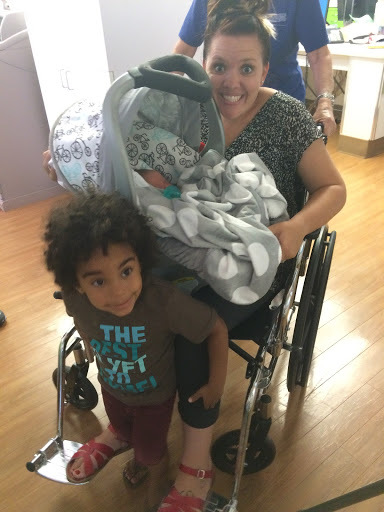 As silly as it sounds I even hoped and wished that we would be able to pick this baby boy up from the hospital and that I would get to ride in the wheel chair to get some of the birth mom experience. After I would hope/wish/pray for these specific requests, I would push them out of my mind and call myself ridiculous. 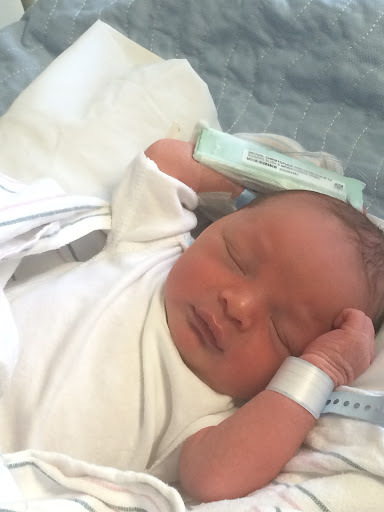 It was June 29th, 2015 at 9:00 in the morning and Jason and I sat down with our social worker. We spelled out to her our conditions to going back on the list to be matched with a child. I told her I would like a baby straight from the hospital that was safely surrendered. I didn’t have it in me to do visits again, let alone the fear of losing another child. She didn’t have high hopes for us, but said she would only call with extremely “low risk” cases. We signed the papers and she was on her way. All day I was sick with anxiety. An emotional wreck almost paralyzed with fear. Questions running through my head like, “Are we doing the right thing? What if we lose this child? Are we putting Weiland another painful experience?” It was a Monday night, coincidentally, women’s Bible study night at church. Jason and I had decided not to tell anyone about going back on the list except for our family and mentors so when I went to church that night I wasn’t free to share or ask for prayer for this huge decision that we signed up for. A beautiful friend of mine that has an AMAZING voice, like heaven is going to sound like her voice, I’m serious, she is SOOO good! Anyways, she was leading music that night at Bible study. She started singing a song called, “Come Out of Hiding“. I immediately fell to my knees sobbing. It hit me like a ton of bricks. “He is my peace!! Stop with the fear and run to Him, Elizabeth!” It was as though at that minute that His peace rushed over me. Fear was gone, I knew that He had my family in the palm of His hand and He could be trusted. Little did I know that I was in “labor”. June 30th, about 24 hours after signing on the dotted line with our social worker, there was a little half black baby boy delivered and left at the hospital. A social worker from the hospital called at about 3:00 in the afternoon to let us know that there was a little baby boy left at the hospital that needed a forever home. I told her that I needed to call and discuss it with my husband, also known as call my husband and scream and cry and not make any sense to my husband. Jason came home from work and we put the social worker on speaker phone to tell her, “YES!”. We immediately called a sitter for Weiland and hit up Target. I can still feel the excitement in the depth of my gut as I type this. July 1, we headed to the hospital to meet our son. He had to stay an extra day for an infection, but we were not going to wait another day to meet him! On our 30 minute drive to the hospital, I looked at Jason and said, “Huh, we don’t have any boy names!” Jason has a thing about naming his kids after lead singers of rock bands, so we started wracking our brains. My same friend that sang the song that kicked me into “labor” was texting me name ideas and sent us a winner! We were going to meet our Martin Maverick. I was up during one of the midnight feedings just baffled by the little miracle I was holding. I was curious what was going on in my life when he was conceived so I calculated back…He was conceived the month we lost Bellamy. I immediately went into shock..My Marty was my beauty from ashes. Jesus saw me in my despair and tears and held me. He knew that He had created such a beautiful gift that would soon be given to us. What a good, good God that gives such amazing gifts.